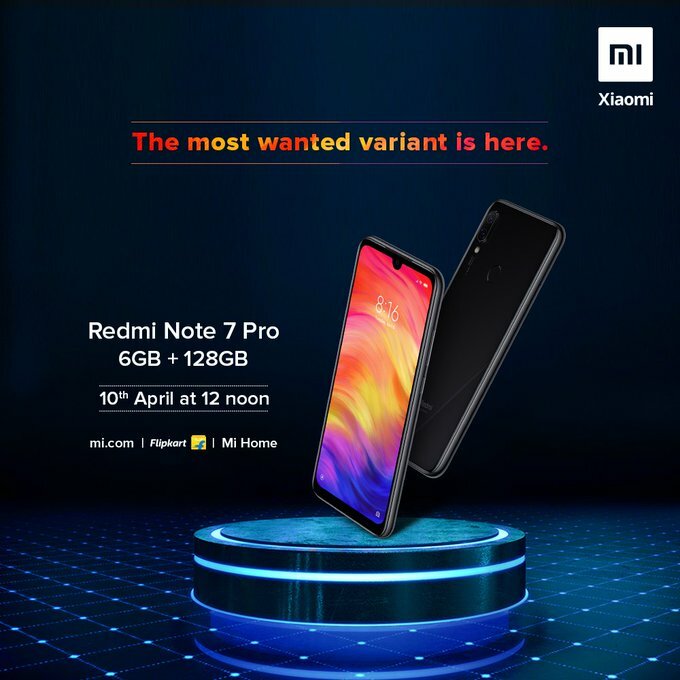 Xiaomi today announced that Redmi Note7 Pro 6+128 GB variant will be available starting April 10th in India on Mi.com, Flipkart Sale at 12PM. On Camera, it has a 48-megapixel Sony IMX586 Sensor with f/1.79 aperture secondary 5-megapixel camera and 13MP front-facing camera Packed by a 4000mAh battery with Quick charge 4.0 Support the Box charger is a 10W charger. It comes with USB Type C, audio Jack. IR Sensor. Redmi Note 7 Pro comes in Neptune Blue, Nebula Red and Space Black color options. priced at Rs 13999 for 4GB RAM and Rs 16,999 for 6GB RAM. 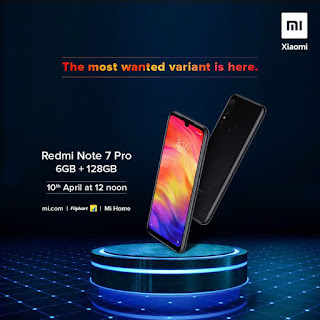 Redmi Note 7 Pro (6GB+128GB) will be available across Mi Home from 17th April.